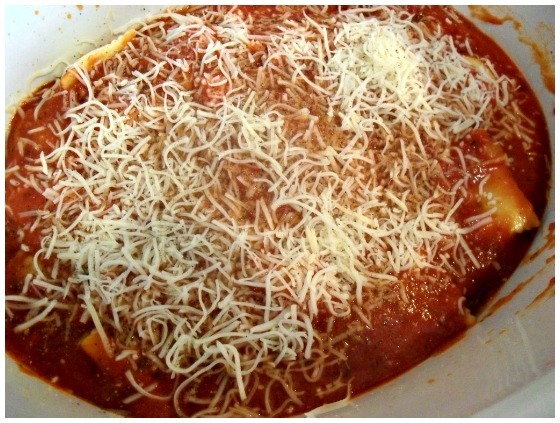 Thanks to the wonderful world of Pinterest I have run across a million and one recipes I want to try. 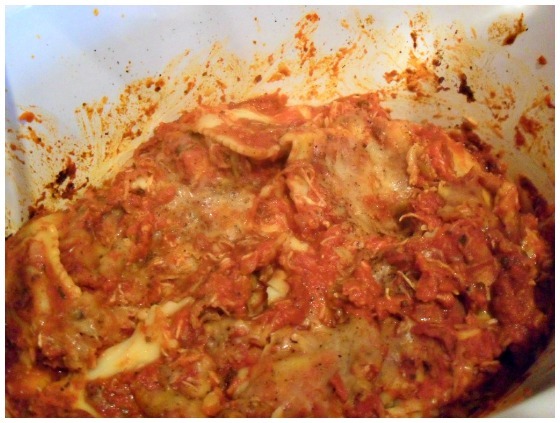 I'm a very picky eater, so I pin a lot of recipes that look great but I'm scared to try them. I don't know why, I guess the thought of spending money on something and possibly not enjoying it maybe, I don't know. 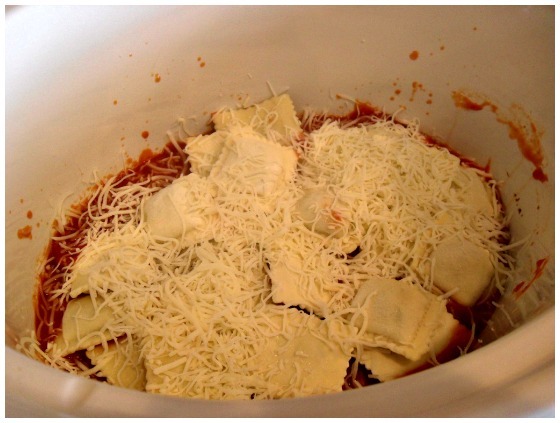 Well, a few months back I ran across a Crock Pot Cheesy Ravioli Casserole and I have been wanting to try it ever since. 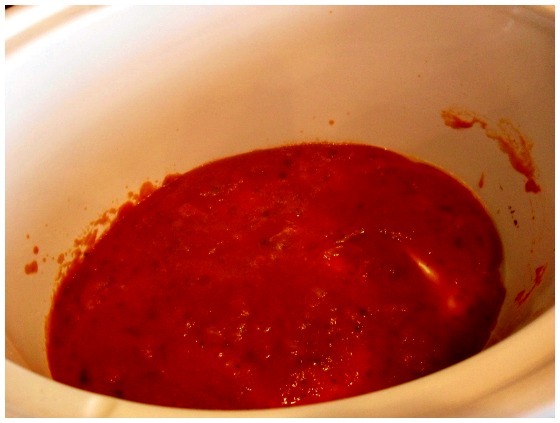 I love my Crock Pot and I love making pot roast, pulled pork and soup in it. But, I have never really tried anything different. 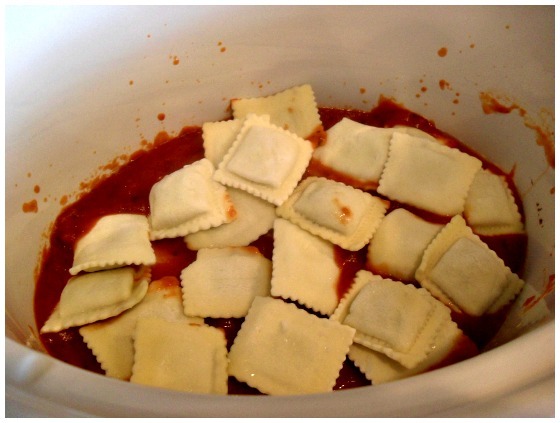 I did change the recipe a little for us, I thought 2 jars of sauce and 2 bags of frozen ravioli would be to much for just the two of us, so I cut the recipe in half. I sprayed my crock pot with Pam so it wouldn't be a mess to clean. 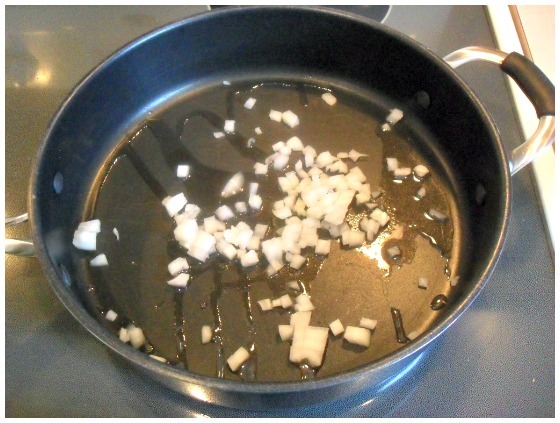 In a large skillet I cooked my chopped onion in oil until it was transparent. 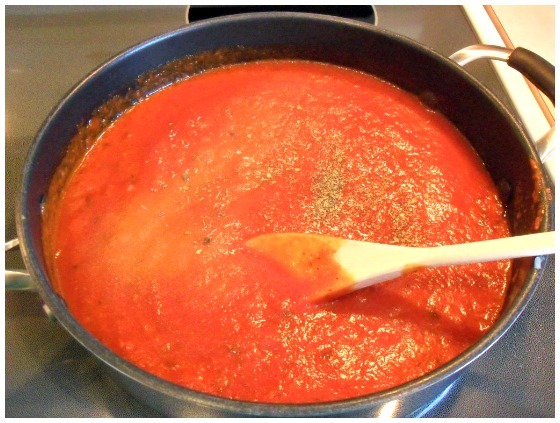 Then I added my Ragu, Tomato Sauce, Garlic Powder and Italian Season to the skillet and cooked it until it bubbled. Cooked it on low for 6 hours. It was actually really good even though this picture doesn't show it. We paired it with garlic bread and a small salad. The hubs said "it's good" and when I asked if he would have it again he said "yeah" - such a talker my Mr. Then he laughed and said "don't quote me on your internet thing" haha. Gotta love him! One Pinterest recipe down just 999,999,999+ more to go :) Side note: I really wish Blogger and Word would recognize Pinterest as a word because I hate it trying to auto correct me all the time! 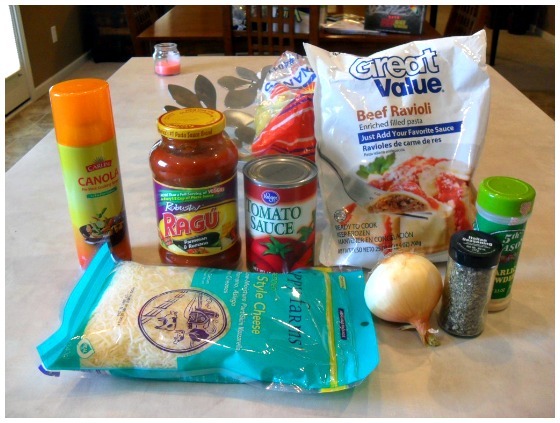 Have you tried a new recipe lately? Looks yummy! I am going to have to try this! Paula, you will have to let me know what you think if you try it! Thanks for stopping by! !